Will you have any medical expenses in the year 2019 that won’t be covered by your health insurance policy, a flexible spending account (FSA), or your Federal Health Care Savings Account (HSA)? If so, you can still open a Montana Medical Care Savings Account (MSA) by Dec. 31 and cover those expenses. If you deposit up to $4,000, (the maximum in 2019) you can reduce your Montana adjusted gross income by that amount. For individuals who have a taxable income above $17,900, this will result in a net savings of about $276. If you pay 2019 medical bills either by check, cash, or credit/debit card, you can still add up those eligible expenses throughout the year, make a deposit by December 31 and reimburse yourself from the MSA account on the same day for eligible expenses paid January through December. The key word is paid. You can reimburse yourself for paid eligible medical expenses by the end of 2019. But if you haven't yet paid those bills because your health insurance company hasn't sorted out what it will pay and what you still owe, you still can reimburse yourself for those unpaid eligible expenses during 2020 when you pay them. The amount you can use to reduce your Montana income is the total deposited, not the amount used for medical expenses during the tax year. For example, if you deposited $4,000 in an MSA but only used $500 for eligible medical expenses during 2019, you still get to reduce your income by $4,000. The remaining $3,500 is available for paying medical expenses in future years. Your MSA can also be used as a legacy. Some Montanans have put money in their MSAs every year, but have not used it because they are saving the funds for long term care expenses. Others plan to use their MSA as a legacy for their children and grandchildren. You can place a payable on death (POD) designation on your MSA, identifying who you want to receive the money after your death. Your spouse, parents and kids can then use the money for their own eligible medical expenses without Montana income tax consequences. Parents and grandparents could gift money to their adult children and adult grandchildren for an MSA. Whatever amount is gifted and deposited in an MSA can be taken off the adult children and grandchildren’s income. The adult grandkids get the tax break, but not the grandparents. Marsha A. Goetting is the MSU Extension Family Economics Specialist in Bozeman. She is going to deposit $4,000 in her MSA in anticipation of higher medical expenses in 2019 than she had in 2018. Scientists at Montana State University and their partners have developed a fact sheet and short film that describe the results of a research study on the potential impacts of climate change on sagebrush ecosystems. The research team, comprising scientists and students from MSU, Colorado State University, the University of Massachusetts-Amherst and Utah State University, used field observations with ecological models to look at what may happen to Artemisia tridentate – or big sagebrush – under various scenarios of climate change. According to researchers, sagebrush currently covers 120 million acres across 14 Western states and three Canadian provinces, providing habitat for hundreds of different species of plants and animals. Wildlife such as greater and Gunnison sage grouse, pygmy rabbits, mule deer and pronghorn depend heavily on sagebrush habitats. 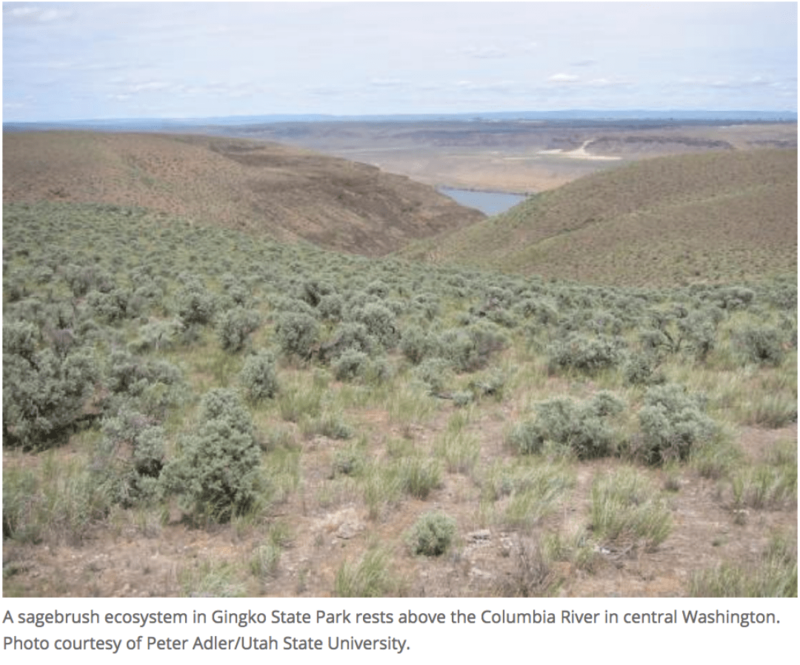 Sagebrush ecosystems are often multi-use: livestock grazing, oil and gas development, and mineral extraction occur along with opportunities for recreation such as hiking, fishing and other activities that support local economies. The fact sheet is available to download for free at ato.montana.edu/sagebrush. A film shared on the same website also describes the research findings. The roughly 7-minute film was produced by students and faculty of MSU’s School of Film and Photography. Organizations that would like to have multiple printed copies of the fact sheet for distribution can email requests to MSU Academic Technology and Outreach at outreach@montana.edu. The research was funded by the U.S. Geological Survey with additional support from the Great Basin Landscape Conservation Cooperative and the Department of the Interior North Central Climate Science Center. A new collaboration brings to life Montana’s four major ecosystems with sounds, images, maps and words – all accessed from the convenience of a computer or mobile device. “Sounds of the Wild West” celebrates the Crown of the Continent, Upper Missouri, High Plains and Greater Yellowstone ecosystems through 25 sound recordings, five maps and nearly 30 images. 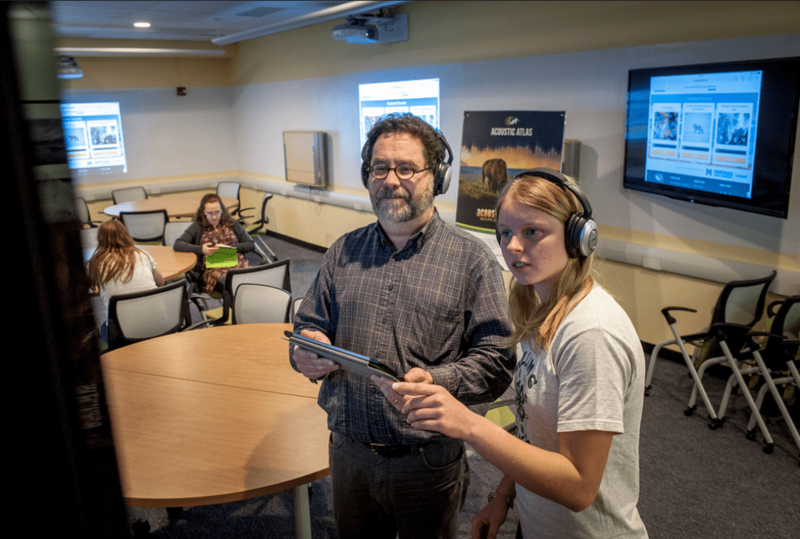 The project is the result of a collaboration between Montana State University’s Acoustic Atlas and the story maps editorial team at Esri, a company that created software to help people to tell stories with maps. Audio recordings used in “Sounds of the Wild West” range from gurgling geysers in Yellowstone National Park to birdsongs to the whistle of a train to roaring grizzly bears. The sounds come from the Acoustic Atlas, a collection of more than 2,700 natural sound recordings from throughout Montana and the West. Launched in 2013, the archive is based at the MSU Library and focuses on the sounds of the Western United States. It has become one of country’s premier online collections of natural sounds. For the “Sounds of the Wild West” project, collaborators pondered how to best present the sounds. “Ultimately, Montana’s natural environment is defined by its ecosystems,” said Jeff Rice, Acoustic Atlas program director and co-founder. “We decided to find sounds recorded in different ecosystems and represent ecosystems spatially and then tell a little bit of a story about the recordings we’ve been making.” The team then consulted with the Montana Institute on Ecosystems, a Montana University System research institute focused on environmental sciences, to determine the proper boundaries for Montana’s ecosystems. Rice noted that one strength of “Sounds of the Wild West” is the context it gives to the sounds. Throughout the story map, text and images help visitors understand the sounds. “‘Sounds of the Wild West’ amply demonstrates how audio – in this case beautiful natural sounds from the Acoustic Atlas – can add a whole new dimension to multimedia storytelling,” Carroll said. Rice agreed that sounds are powerful. In addition, sounds are spatial, he said. “Sounds of the Wild West” is available here. To explore the full MSU Acoustic Atlas, visit acousticatlas.org/. 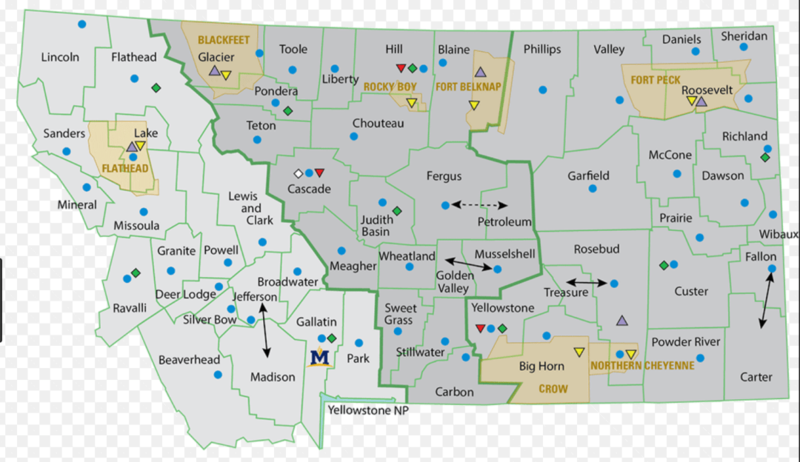 2019 Bozeman's Choice Results are now LIVE! Click here to see the results of our 4th annual Bozeman's Choice Reader Poll! With over 23,00 total votes from 1,472 voters in this years poll, winning is quite an accomplishment! Thank you for voting and congratulations to the winners. 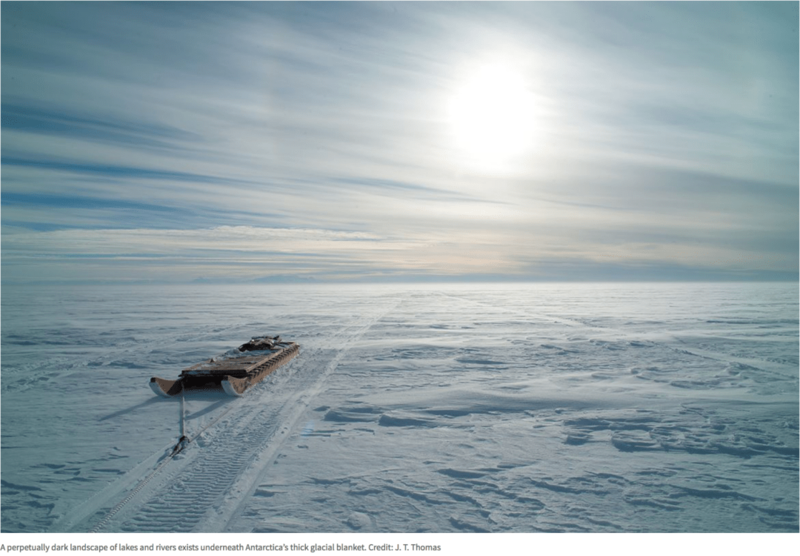 Renowned Montana State University polar scientist John Priscu and a team of researchers from more than a dozen universities will begin the new year hunting for microbes and other living specimens in a lake far beneath the surface of the Antarctic ice sheet. The expedition, known as SALSA (Subglacial Antarctic Lakes Scientific Access), is highlighted in “The Hunt for Life Below Antarctic Ice,” a story written by Douglas Fox in the Dec. 12 issue of Nature, an international science journal. In the article, Fox shares details of the Priscu-led search for microorganisms and other living specimens that live in the dark waters of Mercer Subglacial Lake. The lake, which measures nearly 62 square miles, was discovered more than a decade ago through satellite images but has never before been explored. Priscu is among 45 scientists, drillers and support staff who make up the expedition team. In Antarctica, about 370 miles from the South Pole, the team will spend the next few weeks working together to drill 4,000 feet to the bottom of the ice sheet that covers Mercer. Once through, they will collect water and mud samples that they hope will be teeming with living organisms. A Dec. 24 post on the SALSA field blog describes drilling preparations, laboratory set-up, a successful initial drone flight and equipment testing underway at the Mercer Subglacial Lake campsite. This is the second such expedition for Priscu, a Montana University System Regents Professor in the Department of Land Resources and Environmental Sciences in MSU’s College of Agriculture who studies the microbial ecology of Antarctic ecosystems. 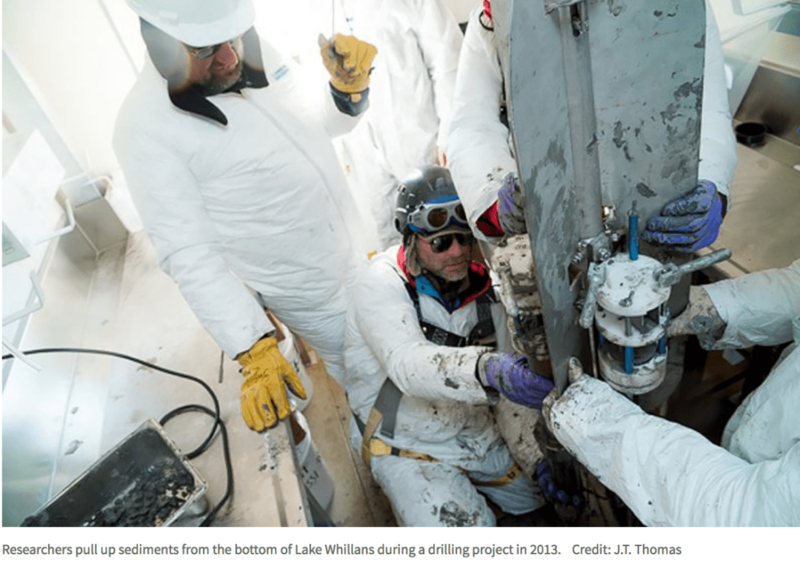 In 2013, he and other MSU researchers published the discovery of microscopic life in Subglacial Lake Whillans in the journal Nature and received worldwide attention. It was named one of the top science stories of 2013 by Discover magazine. Fox writes that the scientists leading the project hope that the Lake Mercer ecosystems will shed light on what kind of life can survive in such remote regions and serve as an on-Earth comparison for habitats deep inside Mars or on the ice-covered moons of Jupiter and Saturn. While Mercer will be the second subglacial lake that humans have sampled directly, Fox wrote, it will be the first time scientists will use a remote vehicle to roam beneath the ice sheet, which leads the scientists to wonder if the submersible’s three video cameras might capture images of animals that live in the dark water. In a new partnership between Montana State University and the city of Bozeman, an MSU graduate student will gain leadership experience while helping the city explore options for conserving water. Heather Nold, a master's student in MSU's Department of Civil Engineering, is participating in the Mentored by the Mayor program, which MSU's Leadership Institute and the city jointly launched this fall. During her year in the program, Nold will meet regularly with Bozeman Mayor Cyndy Andrus to learn about the roles and responsibilities of public service at the municipal level. As part of the experience, students are asked to identify a challenge that faces the community and offer solutions. Nold has proposed strategies for managing Bozeman's water supply, a topic of interest for both her and Andrus. “It adds depth to my experience while I’m developing technical skills at MSU and gives me an outlet to help create solutions at a local scale,” said Nold, who introduced herself to Bozeman's city commission on Oct. 22. Andrus said she envisioned the program about a year ago as a way to bring new energy to solving the challenges that the city faces while strengthening the city's relationship with MSU and giving students a taste of leadership in municipal government. "It's about learning what it takes to turn an idea into policy,” said Andrus, who was elected mayor in 2015. Nold, whose graduate research in the Norm Asbjornson College of Engineering focuses on water resources, said the details of her project are still taking shape. She is interested in studying how small-scale structures similar to beaver dams could buffer runoff and hold water longer in the small streams that feed Bozeman's water supply, she said. She is also looking into ways that the city could reuse grey water, which is water from sinks and showers that could be partially treated and used for irrigation. "Heather has some really interesting ideas," Andrus said. “Water is a very important issue both for Bozeman and other communities around the West,” Andrus said, adding that the upper Missouri River watershed is a "closed basin," meaning that all water rights are claimed. That makes water conservation an important consideration as Bozeman grows, she said. Andrus worked with Carmen McSpadden, director of the MSU Leadership Institute, to launch a pilot version of the program last year. Amber Roberts, who graduated from MSU last spring with a bachelor's in agriculture business, conducted a study of the city's roughly 40 citizen advisory boards and recommended ways that the boards might be re-structured to most efficiently carry out the city's strategic plan. As a student associate at the Leadership Institute, Roberts helped shape the volunteer program, which is similar to an unpaid internship with a time commitment of a few hours per week. “This collaboration connects us with the resource we have at MSU — young minds that can help solve complex problems in the community,” Andrus said. McSpadden said the program is well aligned with the MSU Leadership Institute's mission of inspiring MSU students to become leaders who serve as catalysts for positive change. Both she and Andrus said they plan to continue the program into the future. "This program encourages MSU students to envision and help create a brighter future for Bozeman," McSpadden said. "For us, that's a definition of leadership." 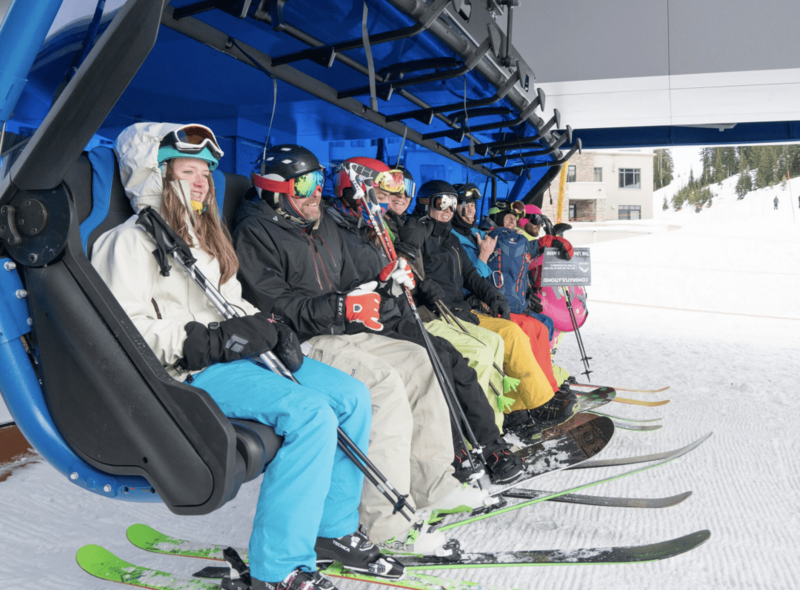 On Saturday December 15, Ramcharger 8, the first eight-seat chairlift in North America and the most technologically-advanced chairlift in the world, debuted at Big Sky Resort. “The upgrades unveiled today at Big Sky Resort mark a new age of lift technology in major zones of the mountain,” says Taylor Middleton, president and general manager of Big Sky Resort. Shedhorn 4, a new high-speed quad on the south face of the mountain, will alsoo debut next week. “Doppelmayr and Boyne Resorts have been collaborating for over 40 years, and together have introduced many firsts to the ski industry,” says Stephen Kircher, president, Boyne Resorts. Boyne Resorts’ history of innovation in the ski industry includes introducing the world's first triple and quad chairlifts and America's first high-speed six-place chairlift. Ramcharger 8’s installation marks the fifth historic chairlift upgrade for Boyne Resorts. 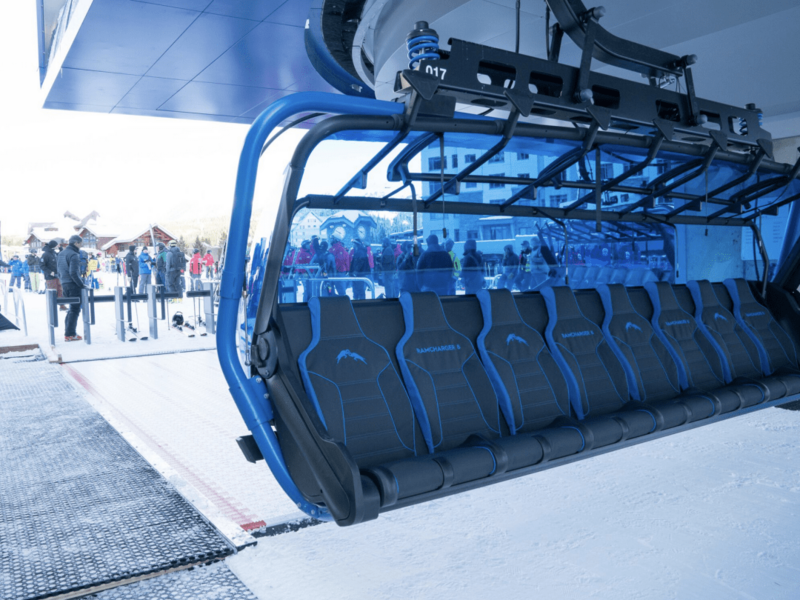 “We are incredibly proud to bring the first eight-seat chairlift to North America, setting a new standard for lift technology in the world,” says Kircher. At the base of Big Sky Resort, Ramcharger 8, the new eight-seat, Direct Drive, D-line chairlift, significantly improves the guest experience on Andesite Mountain, and paves the way for future on-mountain upgrades in that area. Guests will experience a whisper-quiet ride and incomparable comfort, benefiting from ergonomically-shaped, extra-wide heated seats, a weather-proof Big Sky Blue Bubble, and adjustable loading carpet. “Ramcharger 8 is the culmination of everything we have learned so far, and incorporates many firsts for the North American market; first eight-passenger chairlift, first direct drive motor, first locking restraint bar, first height-adjustable loading carpet, first high resolution video display, and the first of our newest generation detachable lifts, the D-Line, says Mark Bee, president, Doppelmayr USA. “We look forward to continuing to work with Boyne Resorts and Big Sky as they execute the Big Sky 2025 vision,” says Bee. Ramcharger 8 whisks up to 3,200 skiers up Andesite Mountain each hour. For more details about Ramcharger 8, please refer to the Ramcharger 8 fact sheet. Big Sky Resort’s commitment to a world-class mountain experience and the most technologically-advanced chairlift network in North America doesn’t end with the introduction of Ramcharger 8. Shedhorn 4, debuting as high-speed quad on the south face of the mountain, doubles uphill capacity and shortens the ride time from ten minutes to just five minutes. Improvements to Ramcharger 8 provide more comfortable access to Everett’s 8800, Big Sky Resort’s mountain-top fine dining experience featuring American alpine fare. This season, savor spectacular views at Everett’s 8800 during First Tracks breakfast, lunch and dinner service daily. Following Ramcharger 8’s upgrade, Big Sky Resort plans to introduce inventive, new experiences for future ski seasons. In the 2019-2020 winter season, Big Sky Resort will add three Omega V gondola cabins to Ramcharger 8. Two will be dedicated Dining Cars, allowing guests to sit around a table installed in the cabin for a premier dining experience. “With the addition of the Omega V dining cars, Big Sky will be home to the smallest restaurant in North America,” says Kircher. Another car will be reserved as a VIP cabin. The Omega V gondola cabins will be the first of their kind to debut in North America. Additionally, Big Sky Resort plans to add a night skiing experience on Andesite Mountain, serviced by Ramcharger 8. 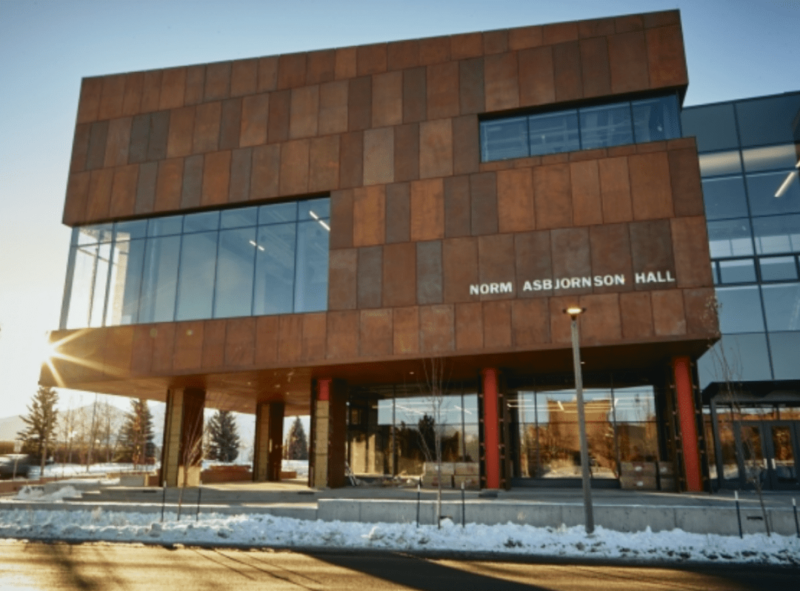 Hundreds of students, faculty, alumni and other well-wishers gathered Friday at Montana State University’s Norm Asbjornson Hall, home of the engineering and honors colleges, to celebrate the newly constructed building with a ceremony and ribbon cutting and to say thank you to the man who made it possible. MSU alumnus Norm Asbjornson’s 2014 gift of $50 million funded the building's design and construction and inspired other donors to round out the university’s South Campus project at $70 million. "Your generosity will impact not only current students, but students far into the future," said MSU President Waded Cruzado of Asbjornson. "In turn, those students will have an immeasurable impact on science, technology and enterprise in Montana and the world beyond." With a growing engineering college and record enrollments at MSU, the building will provide much-needed classroom and lab space, said Brett Gunnink, dean of the Norm Asbjornson College of Engineering. The 110,000-square-foot building houses 10 classrooms seating 800 students as well as 17 instructional and research labs with a capacity of 430 students and faculty. One interactive lab, named for donor Bill Wurst, will house 3-D printers and other tools for students to turn their ideas into reality. "That's what I'm most excited about with this building," said Hilary Fabich, who won the Gates Cambridge Scholarship in 2012 while earning her bachelor's in chemical engineering at MSU. According to Fabich — one of four MSU engineering and honors alumni who have won prestigious scholarships and who spoke at the event — the interactive lab, called a makerspace, resembles the work environment at the high-tech company where she works now. Having such a lab during her time at MSU would have enhanced her education, said Fabich, who earned her doctorate from University of Cambridge. MSU alumnus and 2017 Rhodes Scholarship winner Josh Carter, who earned bachelor's degrees in mechanical engineering and microbiology, noted that combining the engineering and honors colleges in an open and interactive building would foster the kind of interdisciplinary learning that launched him on his career. "(The building) will serve as a hub for students to learn and engage with each other and hatch the sorts of ambitious dreams that just might change the world," he said. Other major financial contributors to MSU's $70 million South Campus development — which includes Norm Asbjornson Hall and the adjacent parking garage — include the estate of Bill Wurst, a 1959 MSU electrical engineering alumnus; the Gianforte Family Foundation; and Tim and Mary Barnard of Barnard Construction. Also at the event, MSU project manager Sam Des Jardins unveiled a plaque honoring the building as one of only 10 in Montana to becertified LEED Platinum, the U.S. Green Building Council's highest certification. The building includes a solar electric system, solar air-heating and a geothermal system used to heat and cool the space, which will significantly reduce operating costs, according to Gunnink. A 1960 mechanical engineering graduate from MSU, Asbjornson grew up in the small farm town of Winifred, Montana. After MSU, he worked his way through the heating, ventilation and air conditioning business for 28 years and then founded AAON, a Tulsa, Oklahoma-based HVAC manufacturer that is traded on NASDAQ and that had sales of $450 million in 2018. MSU's total student enrollment has grown every year since 2007, from 12,170 to this year’s record fall enrollment of 16,902. Enrollment in MSU's engineering college has grown from 2,065 in 2008 to 3,889 this past fall. Project architects for the building are A&E Architects and ZGF Architects, LLP. Martel Construction is the general contractor. Associated Construction Engineering Inc. is the engineering consultant, and Kath Williams + Associates is LEED consultant. Montana Fish, Wildlife and Parks is seeking information on a recently poached bull moose. The moose was killed approximately 1-mile up Moser Creek Road in the Hyalite drainage, south of Bozeman. Christmas tree hunters discovered the carcass on Saturday, Dec. 1, and reported it to FWP on Dec. 3. 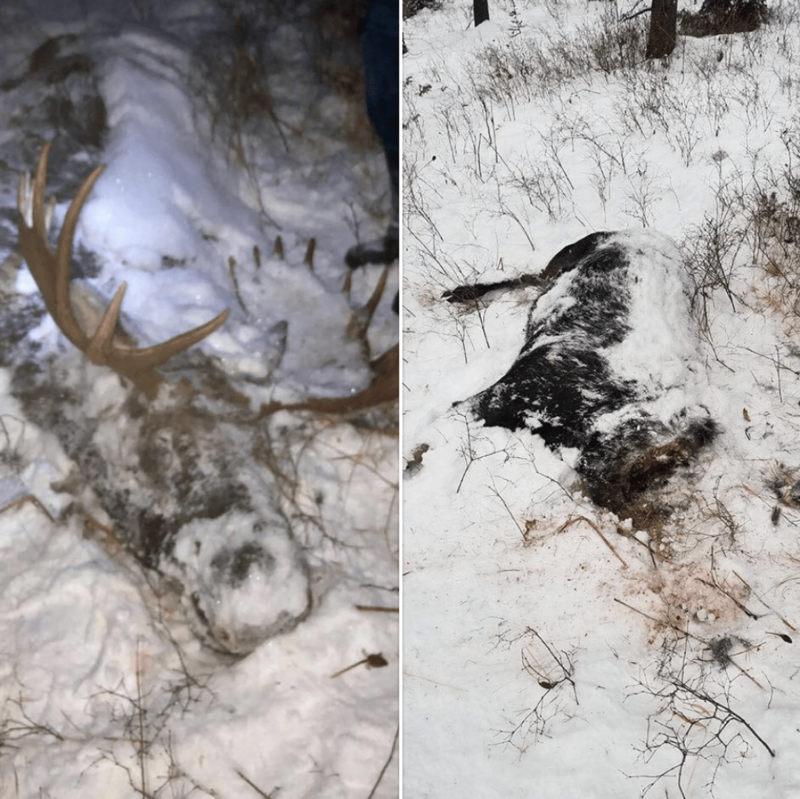 When wardens investigated the area later on Dec. 3, they discovered that someone had removed the head since the carcass was first discovered on Dec. 1. The moose was likely killed a few days prior to Dec. 1. Anyone with information on this incident is asked to please contact FWP Region 3 Warden Justin Feddes 406 579-6267, or call 1-800-TIP-MONT (1-800-847-6668). Callers can remain anonymous and may be eligible for a reward. The reward offered for information leading to the conviction of those involved in the poaching of a bull moose south of Bozeman has increased. In addition to the up to $1,000 reward offered by Tip Mont, up to $6,000 has been offered by private donors. One of the last projects of Montana State University’s yearlong 125th anniversary celebration is one with a lot of heart. 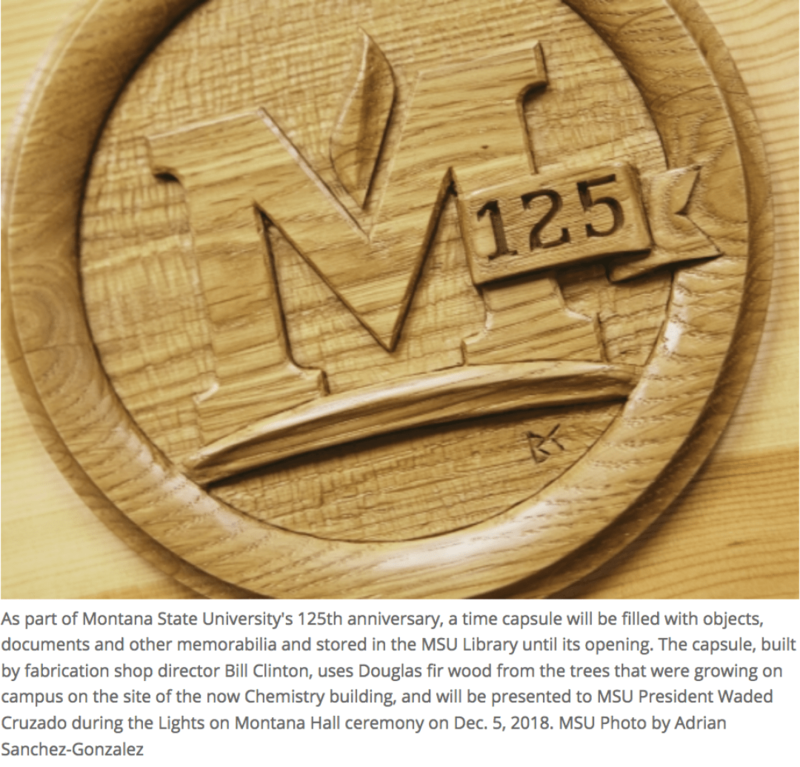 Clinton said that was honored to make the capsule and be a part of the last bit of history that closes out MSU’s 125th anniversary year.